If you want to lead a healthy lifestyle through eating healthy foods that you will have to do is to modify your diet, this means that we incorporate or remove some foods and we try to make the ingredients that we integrate into our diet as healthy as possible. Often misleading food propaganda and poor information can cause us to include foods that are not as healthy as they claim to be. 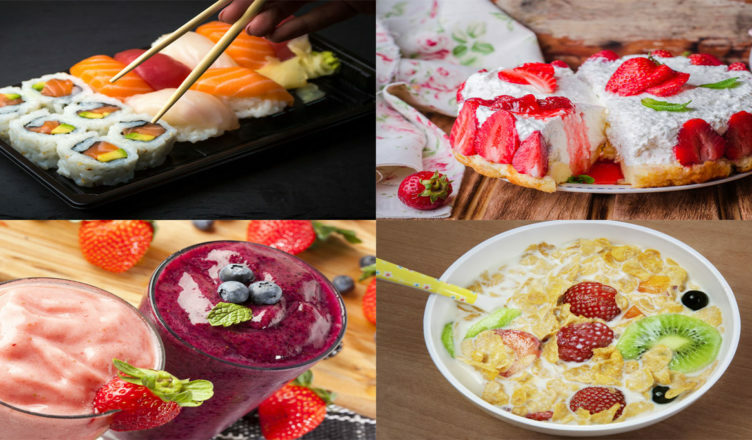 Of course this can long frustrate our attempts to lead a healthier lifestyle and of course if you are on a fat loss plan it may be even more noticeable that these foods are not entirely healthy. Would you like to know that what are some of these misleading foods that affect your body composition and health? Today I mention some of the misleading foods that may be affecting your diet and lifestyle without realizing it. Granola: Granola is one of the foods that are considered healthier, however, a commercial granola can be a complete pump of sugar and calories, the granola is composed of a mixture of cereals and seeds that alone are high in carbohydrates, this does not have to be bad, but if we add the added sugars we subtract the benefits of the complex carbohydrates of the cereals. A good tip is to look for a granola that does not contain as many added sugars and of course control its serving. Substitutes: you can substitute unsweetened cereals like oat flakes, wheat bran, sugar-free, inflated rice to provide that texture-rich contrast that gives granola without adding more sugar to your diet. Dehydrated fruit: with the dehydrated fruit happens something similar that, with the granola, the fruit is rich in sugars (fructose) and when dehydrating it we get that these sugars are concentrated in smaller portions, therefore, we end up eating more to feel us satisfied. Dehydrated fruit can be consumed in moderation, but be careful with portions. Substitutes: Choose fresh fruits whenever you can, you will get the same benefits of fruits, but consuming fewer calories. Smoothies or Smoothies: Fruit smoothies are delicious and are a different way to consume fruit especially for those people who are in a hurry. A smoothie can also contain a lot of added sugar to make them sweeter and palatable. If in addition to this includes, ice cream, syrup, cookies or other ingredients are no longer as healthy. Substitutes: The best thing with this type of shakes is to prepare them at home to control the ingredients that you add. Avoid adding too many sugars or prefer a non-calorie sweetener; another good option is to prepare these smoothies or water-based shakes, they are rich fresh and without additives that contribute too many calories and fats to your diet. Breakfast Cereals: Processed cereals are one of the most widespread foods as part of a healthy breakfast but this type of cereal may contain many added sugars in addition that are low in fiber, even some of those marketed to take care of the line; so it is best to avoid them if you want to lose fat and eating healthy foods. Substitutes: Choose less processed cereals such as oats, brown rice, etc. These cereals can be prepared for a complete and delicious breakfast. Sushi: Sushi is one of those foods that when we want to give ourselves a taste, but if it hurts the diet we choose this dish of oriental cuisine. But not all sushis are the same. If you like to choose sushi with cream cheese, capes, mayonnaise or cheese this rule of being a healthy food may not be met. Soy sauce is another element against it is already high in sodium. Substitute: choose a more fresh and simple sushi, avoid the fried sushis and cheeses. For soy sauce do not forget to ask for it low in sodium. Cottage cheese or ricotta cheese: these cheeses are famous for being part of a light diet, but are rich in lactose therefore in simple sugars. In addition, this type of cheese can also be very rich in sodium so that it damages your health and favors the retention of liquids. Substitute: The best thing is that the portion of these cheeses is not high and if you decide to avoid them or are lactose intolerant chooses vegetables or vegetarian cheeses that are rich and very healthy. Isotonic Drinks: These types of sports drinks are meant to help replenish the electrolytes for people who practice exercise attempts. Therefore, if your exercise is little or moderate are not recommended. These drinks provide lots of sodium and also sugars that if you have not consumed just accumulate. Substitutes: Simple water will work wonders after a moderate routine in the gym or after a walk in the park near your home. If you do not like to drink water, you can use an infuser to taste or give some flavor with lemon slices or some herbs like mint. As you can realize these deceptive foods are not always, but they can prove to be what they are not. This does not mean that you cannot consume them from time to time or when the occasion merits. The secret is always to balance the diet and consume in moderation to lead an appropriate eating healthy foods and healthy diet.